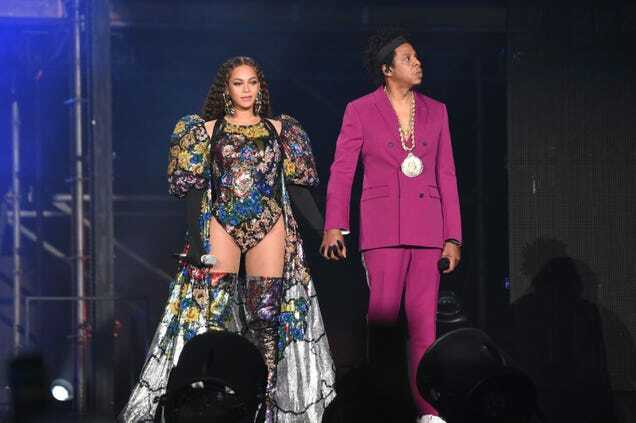 At a respectable hour—2:47 p.m. EST on Sunday, to be exact—Beyoncé and husband Jay-Z’s philanthropy and benevolence blessed the world with a performance during the Global Citizen Festival: Mandela 100 at the FNB Stadium in Johannesburg. The post Beyonce pens powerful letter to “strategic warrior” Nelson Mandela ahead of Global Citizens Festival appeared first on theGrio. Nelson Mandela's South African journey from anti-apartheid leader to prisoner to president to global statesman is one of the 20th century's great stories. The post Mandela: A life of soaring symbolism, now harnessed by UN appeared first on theGrio. Former President Barack Obama is tired of watching men make a mess of things and wants more women to get involved in politics. The post Barack Obama on empowering women in politics: ‘Men have been getting on my nerves lately’ appeared first on theGrio. Former U.S. President Barack Obama is set to make his highest-profile speech since leaving office, urging people around the world to respect human rights and other values under threat. The post Obama to deliver Mandela address in likely rebuke to Trump appeared first on theGrio. Beyoncé and Jay-Z will lead an A-list lineup to celebrate the 100 year anniversary of Nelson Mandela’s birth in a Johannesburg festival by the Global Citizen. The post Beyoncé, Jay-Z and Oprah will celebrate the legacy of Mandela at Global Citizen Festival in South Africa appeared first on theGrio. July 18 marks 100 years since the birth of Nelson Mandela, who died in 2013. The post Tracing Nelson Mandela’s footsteps 100 years after his birth appeared first on theGrio. Bill Cosby, who was recently convicted of three counts of aggravated indecent assault (which could land him in prison for up to 30 years, compared himself to Nelson Mandela, according to a Page Six report. The post Bill Cosby compares himself to Nelson Mandela after guilty verdict but Black Twitter says nah appeared first on theGrio. Here are seven fascinating facts about the late Winnie Madikizela-Mandela. The post 7 Fascinating facts about the late South African activist Winnie Mandela appeared first on theGrio. The post Fearless and Unstoppable: Remembering the Strength of Winnie Mandela appeared first on theGrio. Winnie Madikizela-Mandela, the ex-wife of former South African president Nelson Mandela, passed away today at age 81.She was known as the "Mother of the Nation." The post BREAKING NEWS: South African activist Winnie Mandela dies at age 81 appeared first on theGrio. The post Nelson Mandela protege poised to be South Africa’s next president appeared first on theGrio. Former president Obama's tweet of a Nelson Mandela quote following the violence in Charlottesville is now one of the most liked tweets ever. The post Obama’s tweet post-Charlottesville among most ‘liked’ ever appeared first on theGrio. Award-winning broadcast journalist, Ed Gordon, is returning to primetime TV with his own show and clear mission: cut through the noise to tell good stories. The post Ed Gordon returns to primetime TV in a big way appeared first on theGrio. The post South African Archbishop Desmond Tutu hospitalized again appeared first on theGrio. The post CIA agent admits agency had role in Nelson Mandela’s jailing appeared first on theGrio.